You can learn something from everyone. That’s a common sentiment on the mats. In theory, it’s great. In practice….sometimes not so much. 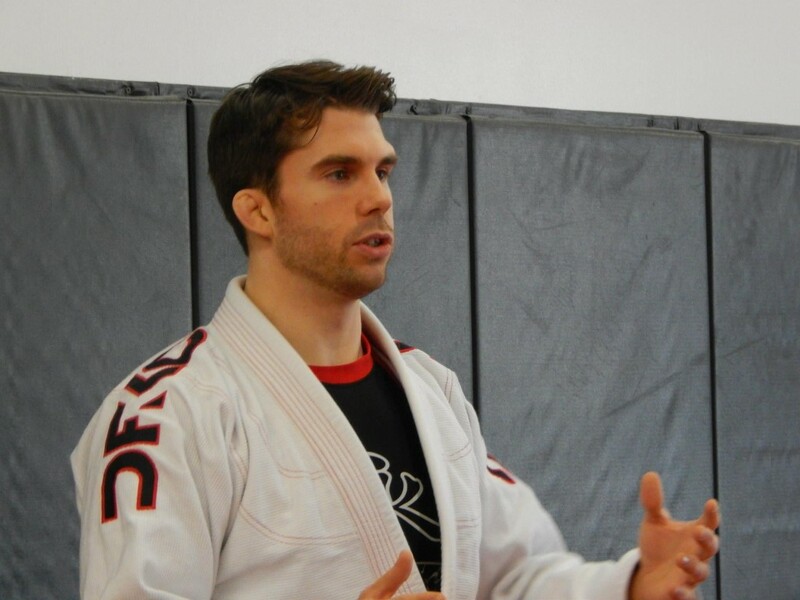 Even the mellowest colored belt can sometimes struggle when the 4-stripe white belt starts handing out advice or the more advanced student takes them to school on the mats. Let’s look at two distinctly different ways we can learn from our training partners — tactile feedback and verbal feedback or advice. If you want to be able to learn from anyone via tactile feedback i.e. 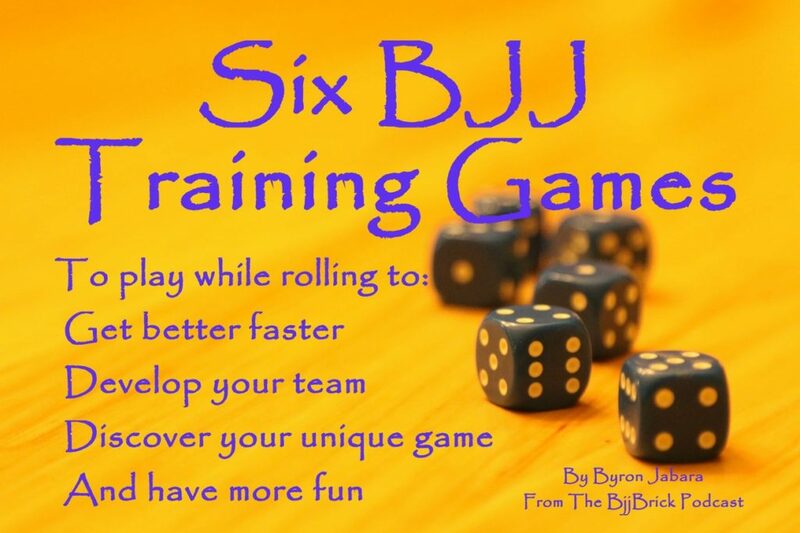 through rolling, you need to roll with everyone and you will want to experience all aspects of their jiu jitsu including their A-game. If every time you roll with better students you do everything you can to avoid being drawn into their best positions you will miss the opportunity to study up close and personal what it is that makes that particular position part of their A-game. If every time you roll with less experienced training partners you simply crush them you will also miss what they have to offer. In an ideal world you will spend some time being the hammer and some time being the nail. When you are the hammer, you are letting your training partner feel and learn from your A game. When you are the nail, you are learning from theirs. If you want to learn something from everyone via verbal feedback or advice you must be humble and approachable. If every time someone gives you feedback you allow your ego to interfere and become dismissive or confrontational people will not be likely to continue to try and help you. Sometimes it is helpful to encourage others to give you feedback. This can be asking directly or you can be a little more subtle like just comment on something you were trying to do during the roll i.e. “I was having a heck of a time passing your guard” or “that was a great triangle”. 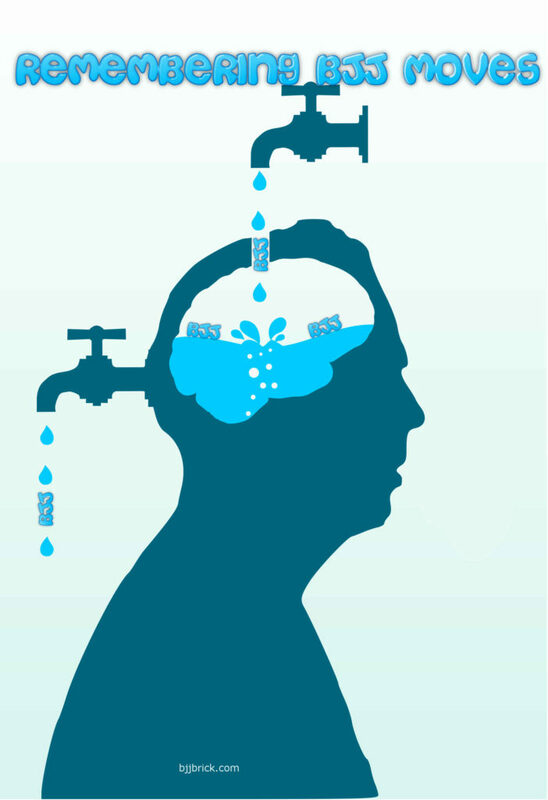 Feedback is often revealed in casual conversations if you’re looking for it. There are many ways of learning jiu jitsu: In class instruction, seminars, video study, drilling with your favorite training partners, as well as tactile and verbal feedback from your classmates and training partners. Take advantage of them all. Train hard, train smart, get better. 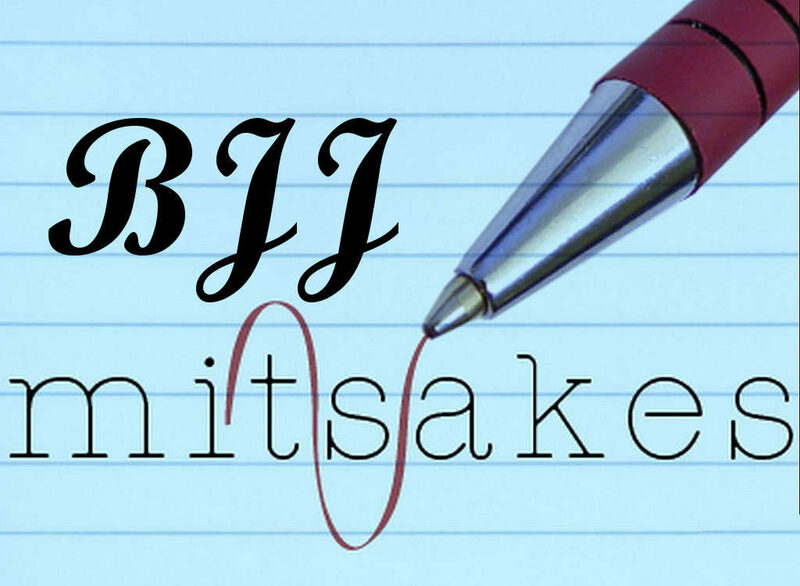 We have all made mistakes on and off the mat. We share some of ours so you can possibly learn from our mistakes. 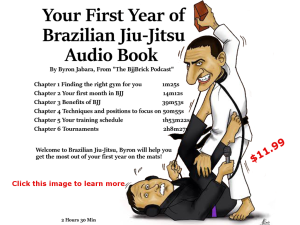 This week we give you some tips and advice to help you remember the BJJ techniques you learn. I’ve always loved this wives tale. 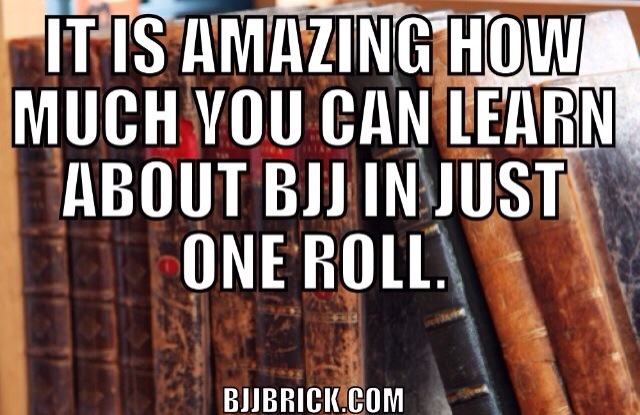 I especially like it in its relationship to jiu jitsu. 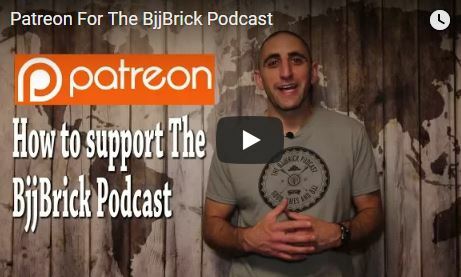 I was reminded of this when The BjjBrick Podcast interviewed Tim Sledd (of Small Ax BJJ Oceanside). 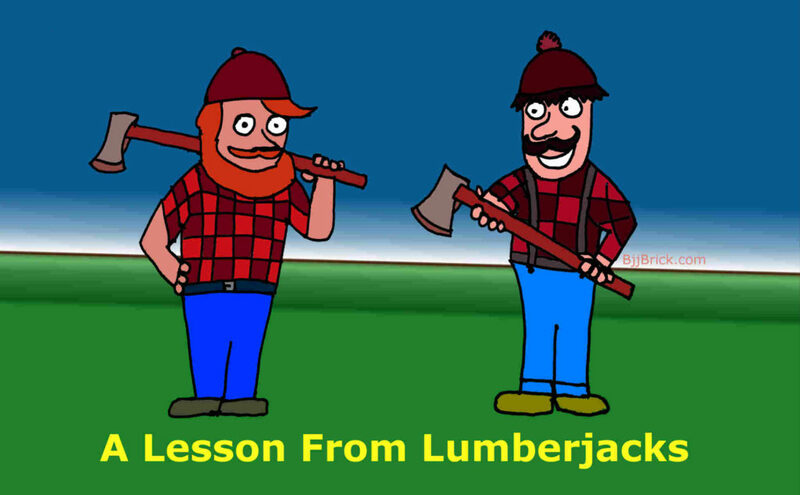 In 1885 there was a champion woodsman in a logging camp in the US Midwest named Olaf. He could fall more trees in any given day than any other tree faller for 500 miles. One day a new woodsman, Sven, showed up and after two weeks it was obvious he was in the running for the title of “best faller” in the camp. So Olaf challenged Sven to a contest: the two men would fall trees on Sunday when the rest of the camp was idle and whoever fell the most trees in 12 hours would be the champion. The two woodsmen began chopping at 6:00 a.m. on Sunday morning. The men in camp could hear the axes striking the trees and the trees falling. After an hour and a half one ax fell silent—15 minutes later both axes were again heard at work. An hour and a half later, again, one ax fell silent. This continued all day. At the end of the day Sven had felled 20% more trees than Olaf. Olaf was beside himself: “I heard your ax fall silent for at least 15 minutes almost every hour, how could you have fallen more trees when you stopped to rest so frequently?” Sven responded, “when you heard silence, I was not resting…. I was sharpening my ax”. Grapplers that come to class and only want to roll and put all their effort into open mat are like Olaf who chopped wood for 12 hours and never sharpened his ax. Practitioners that put an appropriate amount of effort into drilling, positional sparring, and learning new techniques are like Sven, who saw the value in taking time to sharpen his ax. Thank you to Joe Thomas for sharing this story.